A sparkly scent that celebrates the most joyful and vivacious facet of a romantic girl. 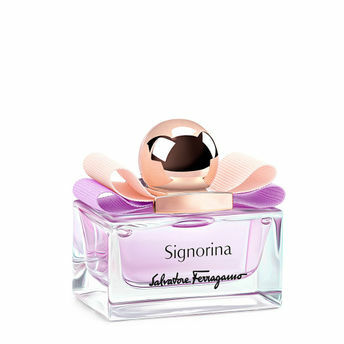 Signorina Eau de Toilette by Salvatore Ferragamo is inspired by the chic sensation of rice steam, colored by feminine rose and fruity notes on a milky woody dry-down. Alternatively, you can also find many more products from the Salvatore Ferragamo Signorina Eau de Toilette range.